The Report of an ITM Seminar held on 21st September 1991 in Mary Immaculate College, Limerick. For archival research. Available in photocopy only. A selection of designs with analysis of issues, and guidelines for the design of accommodation. This publication is a case-study of Travellers health in the Coolock Area. It clearly establishes the link between poor living conditions and poor health. It also reflects Travellers own health priorities and perceptions of health care. Archival copies available. This is a survey on the Traveller accommodation situation in Dublin in 1992, documenting a crisis situation for the Travelling community. Archival copies available. 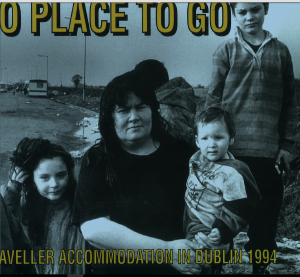 This is a follow up survey on the Traveller accommodation situation in Dublin in 1994. It highlights the slow rate of progress in meeting Traveller’s accommodation needs. The issues and recommendations are applicable on a national level.